May 23, 2014 By Allyson 39 Comments This post may contain affiliate links. Read my disclosure policy. Seriously though, you’re drooling, right? I cannot get enough of these ‘Bites’. Mars candy has really outdone themselves with this product. From Snickers Bites to Milky Way Simply Caramel Bites, and now they have TWIX® Bites. TWIX® Bites!!!! My all time favorite candy bar in a bite size package. Cannot. Get. Enough. 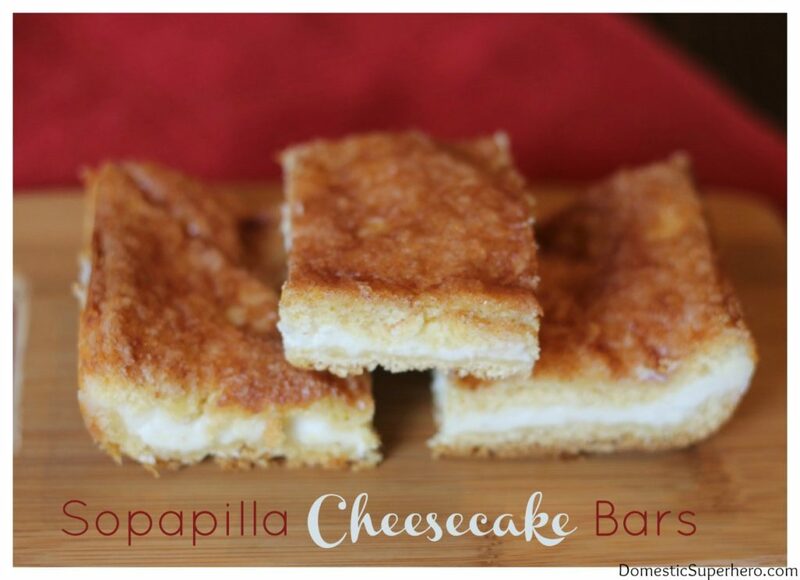 When I heard these were being released a few weeks ago, I knew I had to get my hands on them ASAP and make my all time favorite dessert, cheesecake, with them. TWIX® + Cheesecake is the perfect marriage, and I was not about to object. I decided I wanted to make the cheesecake in bar form, because it’s so much easier to eat. You can just pick it up and take it to go, unlike a big slice of pie/cheesecake. I wanted to make a crust for the bars that resembled the cookie inside the TWIX® candy, because I didn’t want to distract from the main TWIX® cheesecake flavor with a more elaborate crust. Plus, I figured these bad boys would already be very sweet with all the toppings I had in mind. Making the bars was actually pretty easy, and I would highly recommend you make these for ANY party/event where you need to bring a dessert. These are seriously the best dessert I’ve made to date, and I am not just saying that. I can’t wait until I can eat another five one. I almost thought that I should only do one topping, either chocolate or caramel to avoid it being too sweet, but you need both. Yes, you need both. 2. In a large bowl, cream butter and sugar until light and fluffy. With a wooden spoon mix together flour and baking powder and then blend into butter mixture. Mix until it's has an even consistency and all ingredients are incorporated. 3. Line an 11x7 baking dish with foil and spread dough evenly on the bottom, pressing with your fingers to even out. 4. Bake for 14-17, or until edges are lightly browned. Set on wire rack and cool at least one hour. 2. With an electric mixer, beat cream cheese, sugar, vanilla extract, and eggs on medium speed until smooth. Be sure to get out all clumps. 4. Pour mixture on top of the crust, spreading evenly. Bake at 325 degrees until set, 45 - 50 minutes. 5. Remove from the oven and cool on a wire rack for 30 minutes. 6. Place chocolate chips inside a microwave safe bowl and microwave for 30 seconds. Stir, and continue to microwave in 30 second increments until melted (stir, microwave, stir, microwave, etc). 7. Drizzle light layer of melted chocolate over the top of the bars. Then sprinkle the remaining chopped TWIX bites. 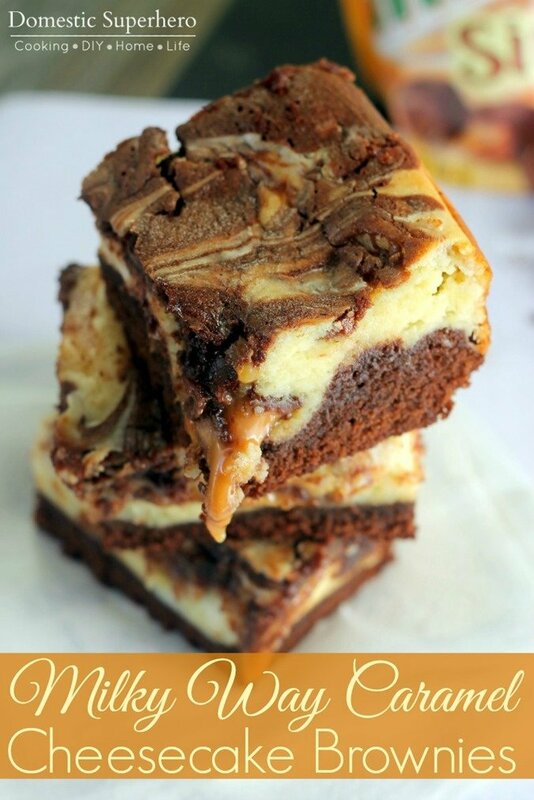 Drizzle 2nd layer of melted chocolate over the top, and then drizzle layer of caramel sauce over the top. 8. Chill until firm, about 6 to 8 hours or overnight. Cut in bar slices and serve! **If you want a cleaner cut when making the bars, you can make everything and then chill for 6-8 hours. 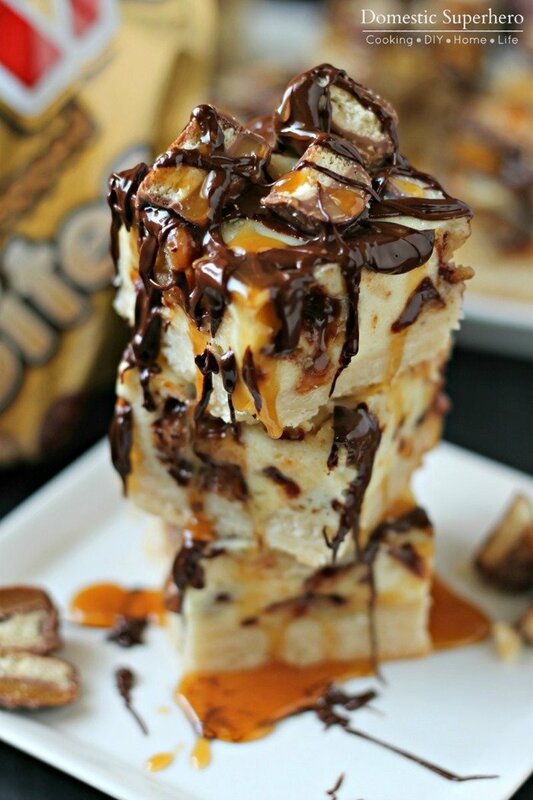 After they are completely chilled you can cit into bars, and then add all the toppings (chocolate drizzle, TWIX Bites, and caramel sauce) to each individual bar. If you are concerned about their appearance this may be a better option as they won't be as messy when you cut them up in the end. You have such a phenomenal way of mixing candy in with other treats. Sinfully good. Oh man, I could sit and eat about 16 of those right now. Yum! I love twix. This recipe to make it. Twix is one of my favorite candy bars and usually the one I pick! This recipe looks incredible! Twix is one of my favorites too! Oh my goodness!! 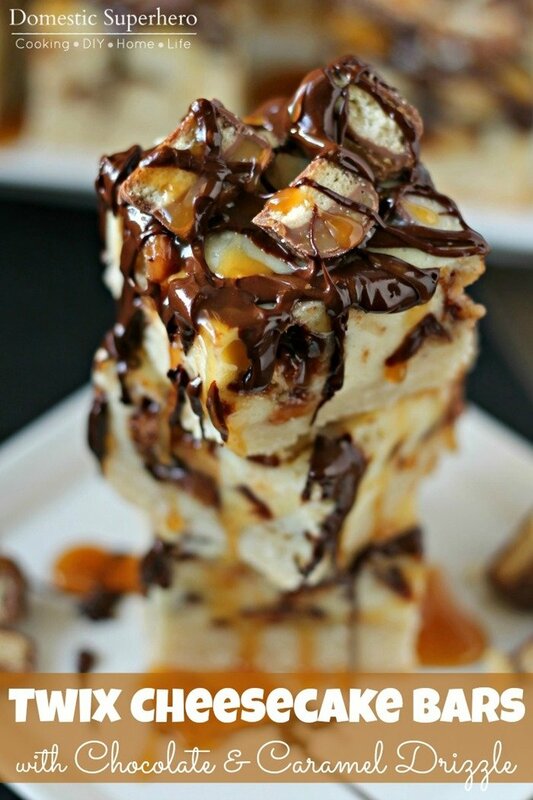 I’m a big fan of Twix and all of these desserts look heavenly! WOW!! Must go pin now. oh, those photos nearly sent my over the edge. These look totally amazing. Seriously, I want one, right now. As in this second, please. So this is what you do to me when I come to read and haven’t eaten?! 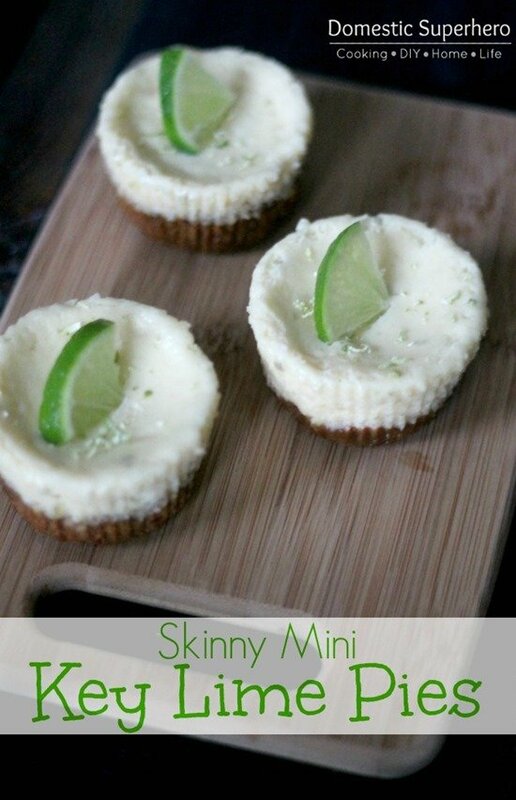 These look amazing and I love anything and everything cheesecake. Oh DROOL! I want these so bad now! I didn’t think anything could improve on a Twix itself. I was wrong! 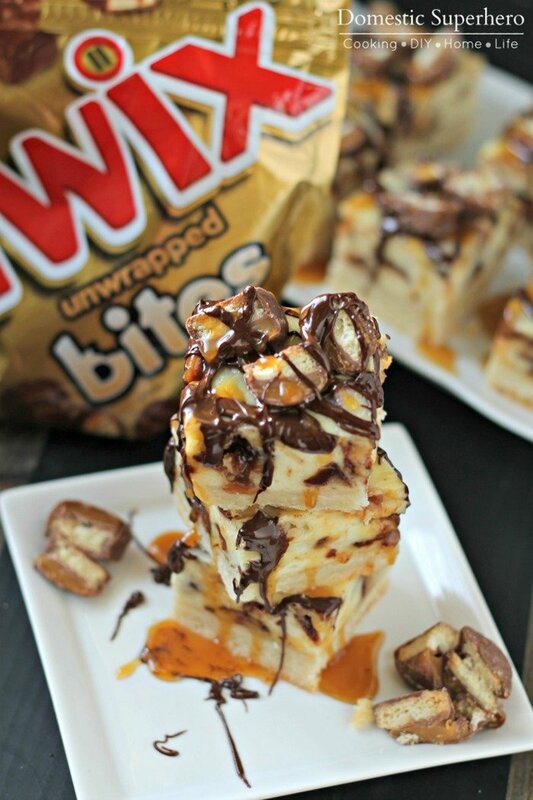 My mouth is watering, Twix is one of my favorite candies ever – this looks amazing. I pinned it! 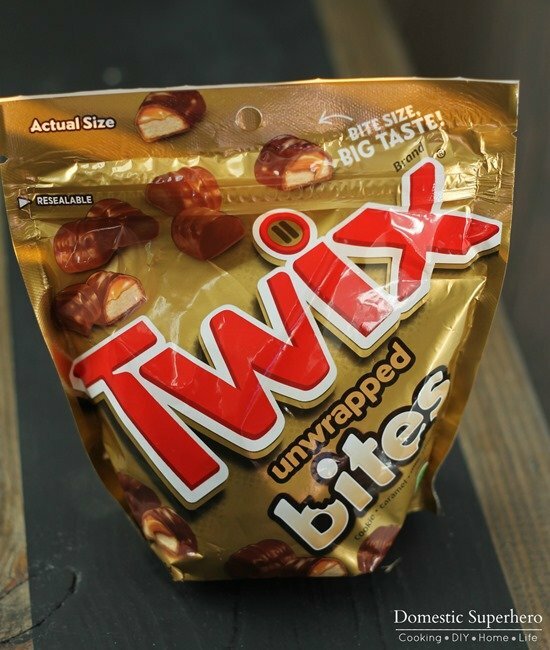 I love Twix, and this looks amazing! So much for trying to control myself! I love cheesecake! This post has got me so hungry now. 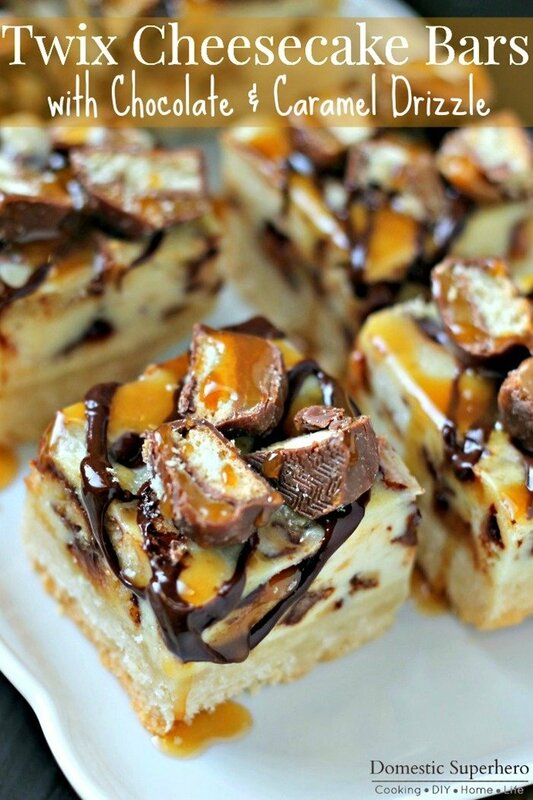 Huge fan of twix, so these would be dangerously delightful :-)Thanks for the recipe, pinning! Oh my goodness, these look absolutely amazing! I love both Twix and cheesecake and combined, it sounds delicious! 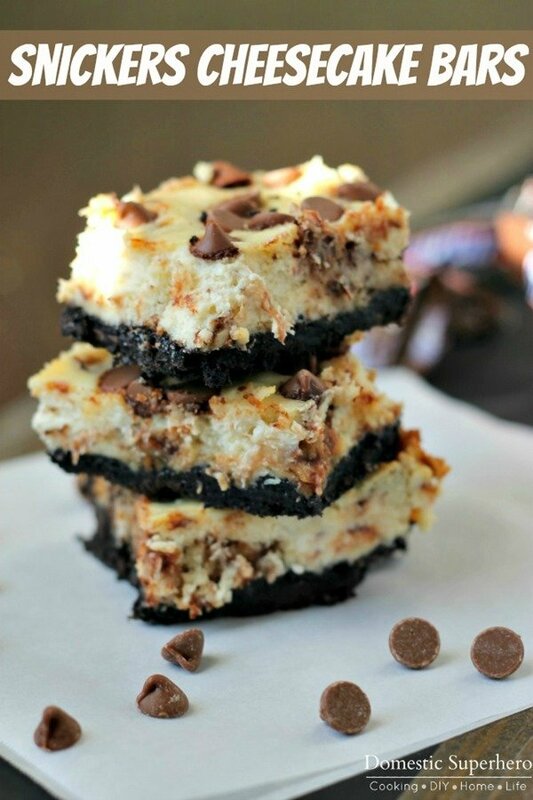 I’m a little embarrassed at how long I stared at the photo of your Twix Cheesecake Bars. Those look positively delish! Those look really, really good. I seriously want a bite right now. Okay I seriously have to stop reading your blog or I’m going to gain a million pounds. These look so yummy Allyson! I am drooling. These look fantastic! Who can resist!! Thanks for the post and recipe! This looks yummy! These pictures make this look irresistible. I think the pan size is incorrect. I made the crust in an 11 x 7 pan and it was much too thick. I think a 9 x 13 would work better. Oh my goodness….I HAD to stop by to pin these. Drooling! !